I am pleased to anounce that, I am currently offering classes in my home studio in Wentzville, MO. These are open studio, students select their choice of subject and materials to work in. Classes are on Wednesday and Thursday mornings 9:30 – noon. Pre registration is required as seating is limited. Call 636 679 1208 or email at lindaswilmes@gmail.com. Linda S. Wilmes, Instructor. Classes are ongoing and payable at each class, $20.00. During the classes, I do demonstrations of technique and explain color theory. May 11, 2019, Noon till 5:00 pm. Over 300 pieces of original art, prints, at 20% off marked prices, one day only. I am offering classes at Framations Gallery, 218 N. Main St., St. Charles. 636 714 8313. Call or go online to register and print supply list. Fee $55.00 per class. April 15, 10:00 – 2:30. 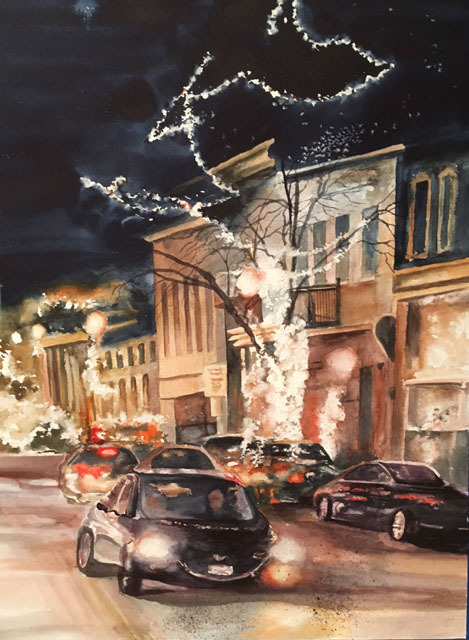 Sparkle and Shine, in Watercolor. Using a combination of neutralized and bright colors students will create the effects of sparkle and shiny areas. 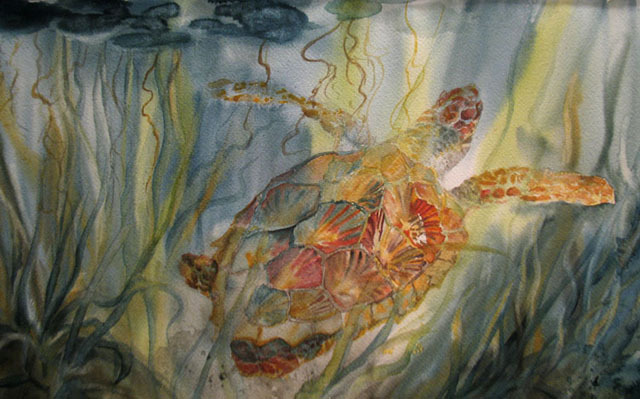 May 13, 10:00- 2:00 pm., Painting Under Water in Watercolor. 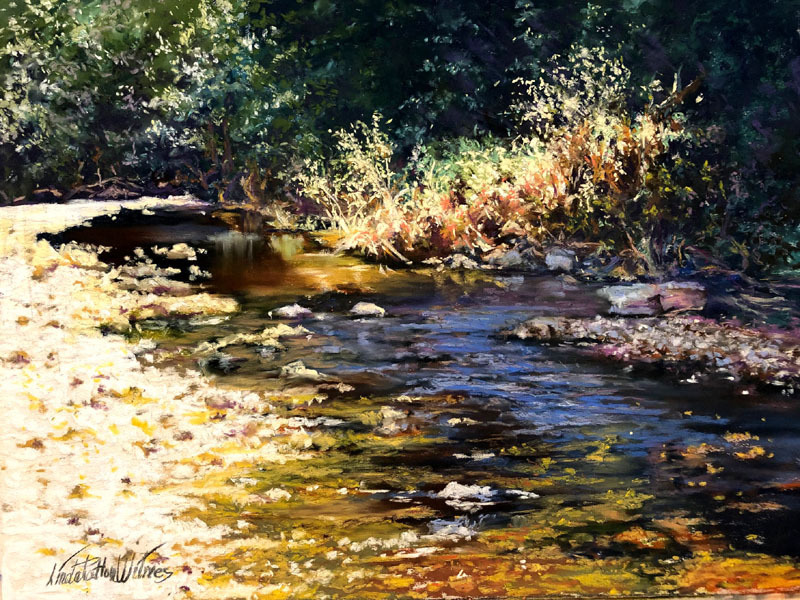 Students will discover the joy of painting very wet, lifting out color and dry brush techniques for this class. June 11, 10:00 – 2:00 pm. Painting Glowing Lights in Watercolor. Students will learn to use the white of the paper, to create the effects of glowing lights, reflections and a bit of architecture. July 15, 10:00- 2:00 pm. Painting Clouds in Watercolor. 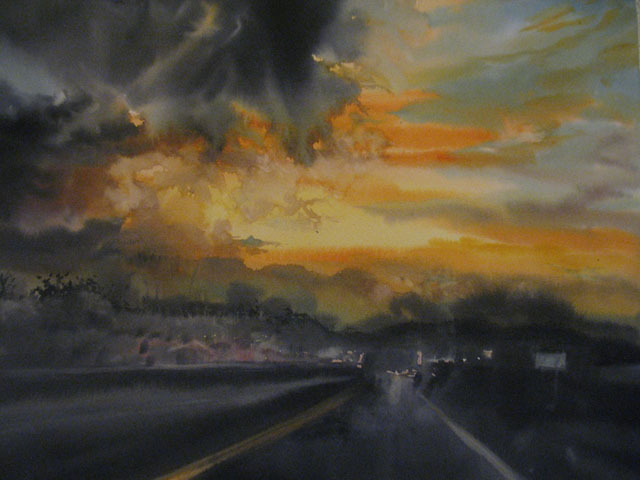 Controlling the amount of water that makes the paint flow, this is a fun and fast approach to painting dynamic clouds, with the colors repeated in the wet pavement. 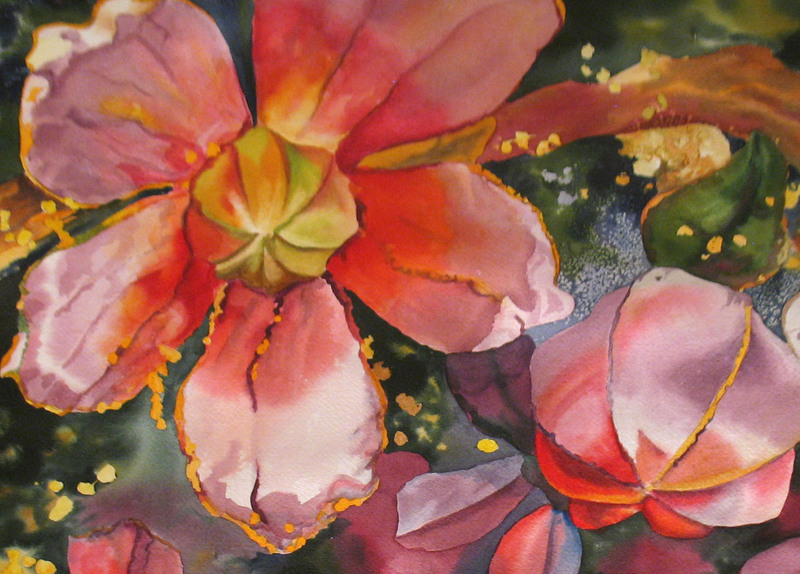 I am offering a Brunch and paint at the Augusta Plein Air Event, April 30, 10:00 – 12:30, at Kate’s Coffee, Fee $50 + tax. www. oakcrossing-augusta.com or call 314 308 5904, for information and to register. Framations, Custom Framing and Gallery, 218 No. Main St., St. Charles, MO 63301. Resident artist. Hours Tues. – Sat., 10:00 am – 6 pm. Sunday 11 – 5 p.m.
Solo Exhibit November 2019, at The Lillian Yahn Gallery, 3028 Winghaven Blvd, O’Fallon, MO 63368. Opening Reception November 9. More information to follow.